Cooking with friends or colleague’s is a tasty and unforgettable experience. The chefs of Peter Pan have years of experience in giving entertaining and educative cooking classes. 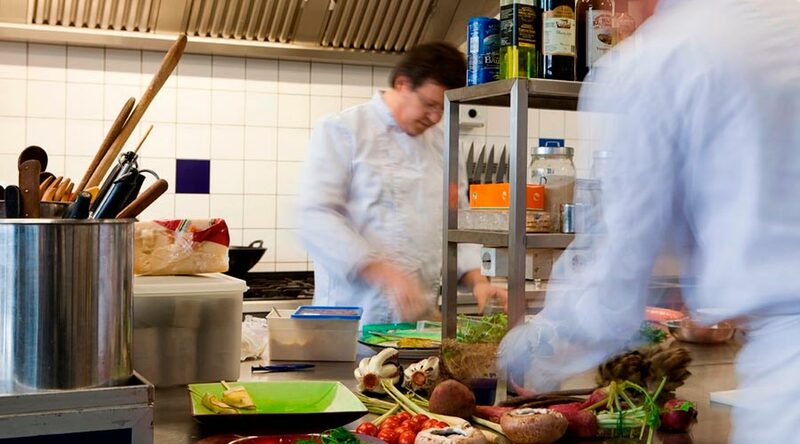 During a cooking class in Amsterdam we familiarise you in an inspiring fashion with the arts of cooking. 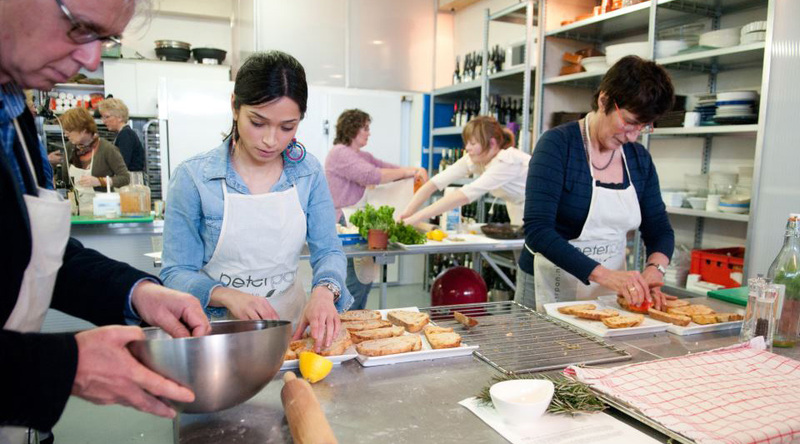 You can join our cooking workshops as an individual or with a small group. Look for current cooking classes in our agenda. Peter Pan has a perfect room for meetings of max 30 people. Plenty of daylight, confortable chairs and all means for a meeting (beamer, screen, flip-over). Our studio is apt for events like presentations, parties & tastings. A beamer with a big screen, profesional light and music equipment makes it a perfect venue for your event. 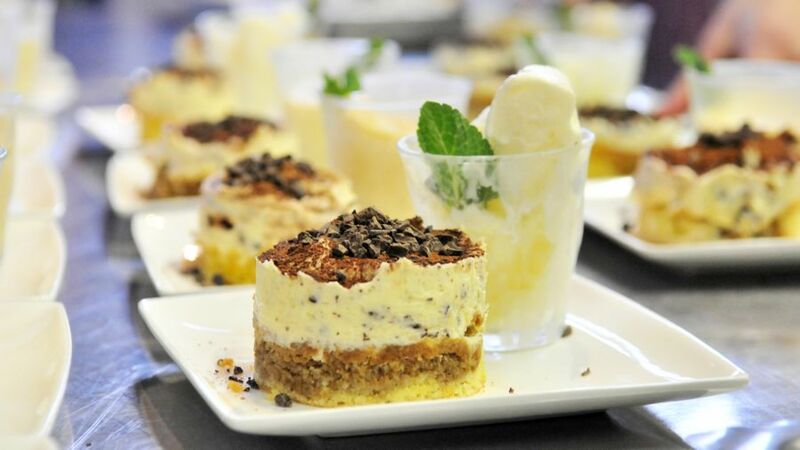 If you are looking for snacks or a seven course meal, our professional chefs guarantee a memorable and tasty catering. We think along with you and make sure that the catering suits your wishes perfectly. At Peter Pan you are at the right adres for a catering tailored to your preferences.